Thought that this was worth a quick mention. After a little research I found that this is actually French buckwheat flour (the same used for making japanese soba noodles) and is also called Sarrasin. 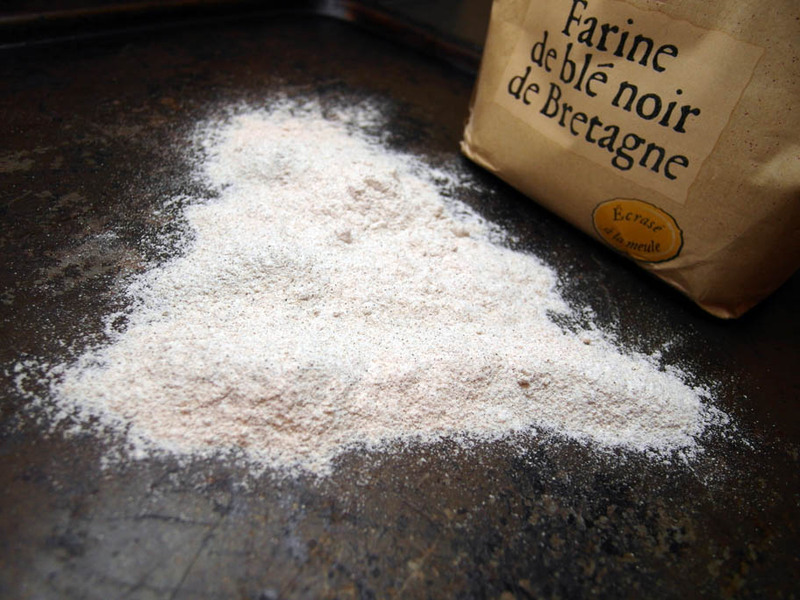 Traditionally used to make Breton galettes, a large savory pancake. Well anyway I tried making Guinness and apple soda bread using this flour and the result was not good at all! The loaf tasted like MUD according to Ashley, where as I thought it had more of a strange ash taste, like somebody had cleaned the fireplace out and used the debris to make bread with! Either way the taste was not good. It must have been a clash with the Guinness as I have eaten Crozets au Sarrasin before (tiny mountain pasta) and there was no taste like this. I will definitely not use 100% of this flour again, maybe it can add an earthiness to recipes in small quantities. This entry was posted in thoughts and failures and tagged bread by tomcosserat. Bookmark the permalink.